Siena home styles include 17 unique floor plans that range from 1,040 square feet to 3,100 square feet, and over one-third of all houses overlook the Siena Golf Course and Lake Siena. The views are splendid with cascading waterfalls, lush greenery, and majestic palms. Siena is considered to be a more upscale retirement development than its Del Webb competitors and real estate is priced accordingly. There are currently 2029 residences, each built between 2000 and 2006. The latest addition is Sun Colony, an exciting collection of upscale single-story homes in Siena. 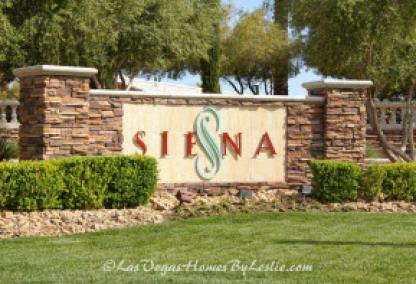 Siena is located in the 89135 zip code in the master planned community of Summerlin. Neighboring communities include Ridgebrook and The Gardens to the north, The Ridges to the west, and the Mesa in the South. 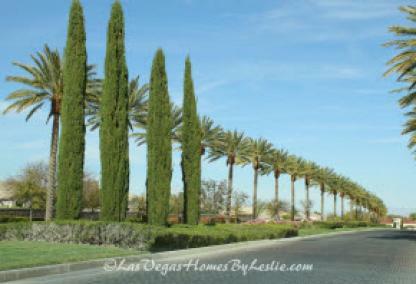 Sun City Summerlin is a another retirement community in the north end. The award-winning Siena Golf Course is located at 10575 Siena Monte Avenue. The course is known for its variety of pacing that features a balanced blend of doglegs and straightaways. Narrow and ample fairways also add to the mixture giving the course a large variety of shot-making options and angles. 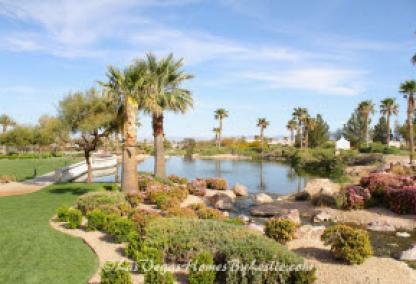 The course was established in 2000 and designed by Schmidt-Curley Designs of Arizona. While many golf locations in Vegas focus on ancillary offerings such as dining and club facilities, Siena focuses on what matters most – golf. While the club has excellent facilities, Siena has purposed to stay focused on its core competency of building and maintain a great course that results in a world-class golf experience. 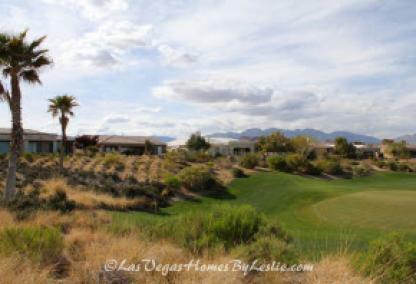 Siena won the award for “Best Nevada Golf Course” in 2010 as named by the Nevada Golf Course Association. Also available at Siena Golf Club is the area’s only American Foot Golf League sanctioned course. Foot Golf is a sport combining the elements of soccer and golf, and is quickly gaining traction as one of the fastest growing sports in the country. The residents of Siena have access to a wide variety of amenities that the community offers, including bocce ball courts, tennis courts, horseshoe pits, and a resort style outdoor heated swimming pool boasting a clover leaf design. An indoor heated lap pool is open year round and residents may use the 15,900 square foot health and fitness center located on site. A 9,000 square foot arts and crafts space is available for activities that run throughout the year. Meeting rooms, a well-stocked library, business center, computer lab, and billiard and card rooms are also accessible to the residents of Siena. The main entrance to Siena is at Town Center Drive. 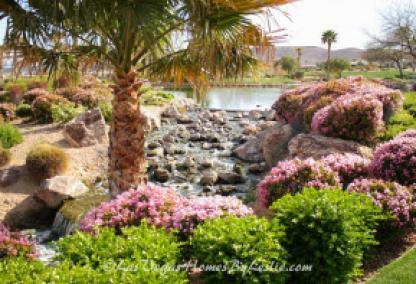 It is conveniently located to the I-215 Beltway and a short distance from the famous Las Vegas Strip. 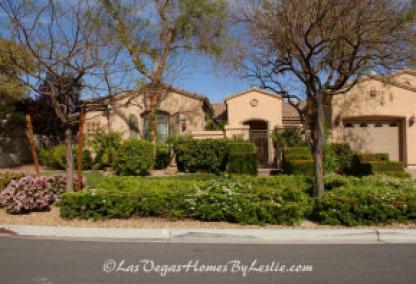 Residents of the community enjoy all of the shopping, dining, and entertainment options that Las Vegas has to offer, while maintaining a tranquil distance in a resort-like community. Casinos, movie theatres, and entertainment options are a stone’s throw away. Residents may also take part in all that the village community center has to offer. Siena residents seeking good food at great prices will love all of the options available to them. From classic American fare to international cuisine, the area has it all. Vitner Grill, winner of the 2012 OpenTable.com Dinner’s Choice Award and the Best of Summerlin Award 2013, is the perfect location for formal dinners, romantic date nights, family celebrations, or business luncheons. Executive Chef Matthew Silverman has created a menu of American options infused with international flavors ranging the globe from locations like Spain, France and Italy. The simplistically elegant architecture and modern décor exude casual elegance. Vitners has been featured in several media outlets and magazines including Travel Channel, Food Network, and Sunset. Area shopping options are plentiful for Siena community residents. Within close proximity people will find Albertsons, Target, Costco, Kohl’s Walmart Supercenter, and Marshalls to name a few. From food to furniture and everything in between, Downtown Summerlin area shops provide outstanding selection and value. Siena offers a wide array of health care options from small, private medical offices to large regional hospitals. Southern Hills Hospital and MountainView Hospital serve Siena area residents as the two largest medical facilities in the area. Both hospitals offer state-of-the-art facilities and technology combined with caring and knowledgeable staff. In addition, the area also offers discount medical supplies and equipment from Preferred Health Choice. PHC sells items often used by seniors including walkers, scooters, adjustable beds, canes, bariatric products, and lifts at excellent prices.